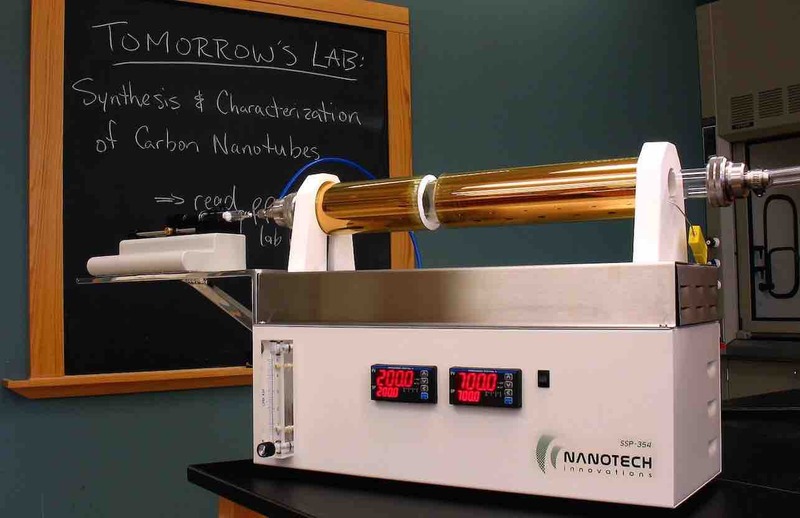 Our benchtop system for producing high-purity nanotubes provides affordable and convenient access to these exciting materials and enables their utilization in education, research, and product development projects. We have kept in mind the budgetary restraints that often exist in educational and research organizations, and our systems are priced accordingly. Our patented process, developed at NASA, employs an organometallic precursor that supplies catalytic nuclei necessary for CNT synthesis. 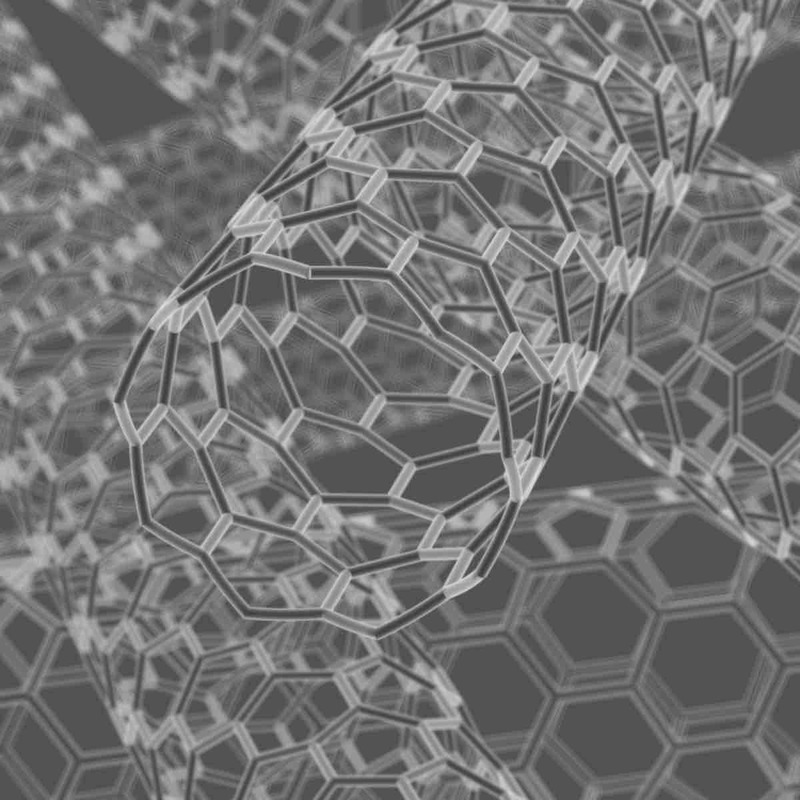 No more catalyst pre-deposition. 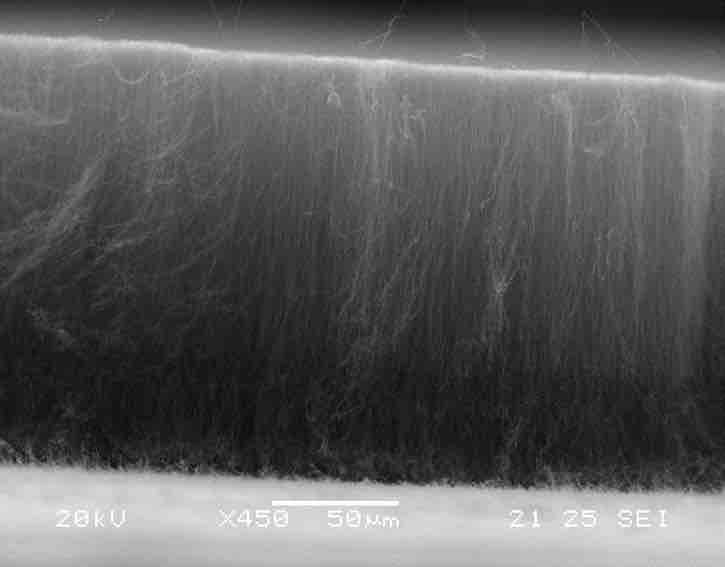 No more expensive substrate preparation. We know conserving bench space in the lab is a priority. 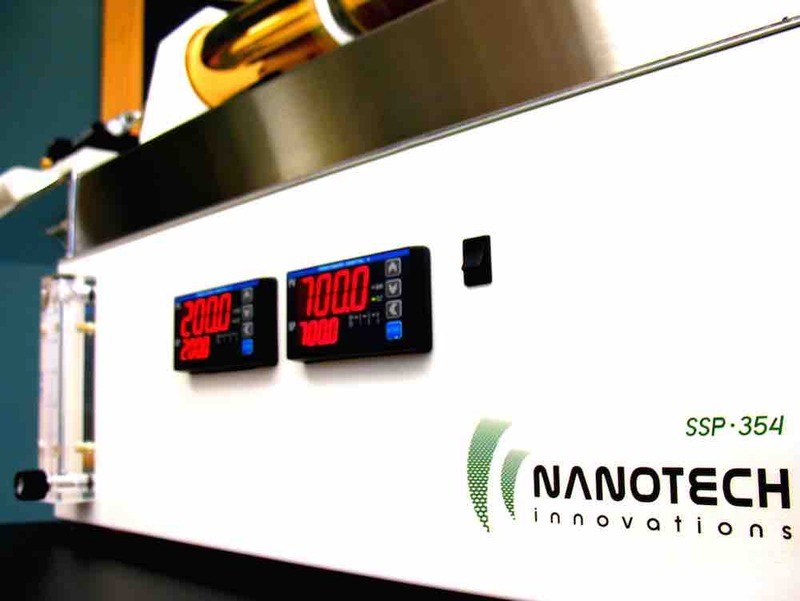 The Nanotech Innovations SSP-354 has a small footprint that allows you to bring CNT technology into your own lab. 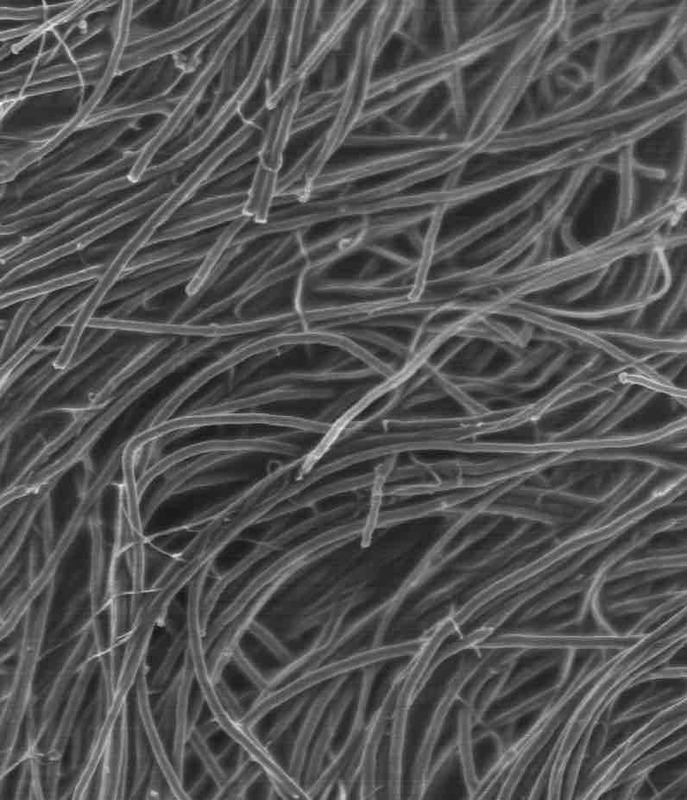 Our Single-Step Process eliminates the need for catalyst predepostion on the CNT growth surface, reducing the time and effort required by other synthesis methods. 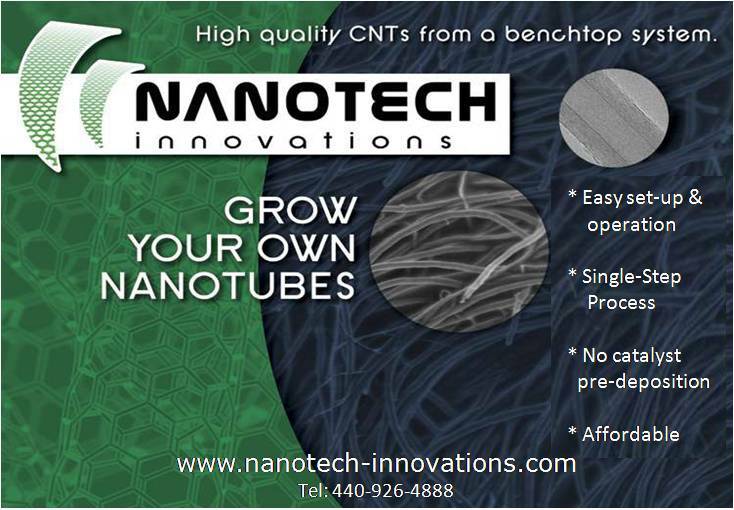 High quality CNTs remain costly due to the need for extensive post-growth purification. Our patent-pending process provides an inexpensive alternative. The Nanotech Innovations SSP-354 was designed as an easy to use CVD system that provides consistent results batch to batch. Our straightforward, easy-to-use system, has been used in high school and college classroom labs, science fairs and competitions.